Primary Care CME at Walt Disney World, Florida is organized by A-Cross Medicine Reviews and will be held from Jun 24 - 27, 2019 at Disney's Grand Floridian Resort & Spa, Lake Buena Vista, Florida, United States of America. Additional details will be posted as soon as they are available. Pharmacology and Office Orthopedics for Primary Care is organized by MCE Conferences and will be held from Jul 04 - 06, 2019 at Disney's Grand Floridian Resort & Spa, Orlando, Florida, United States of America. 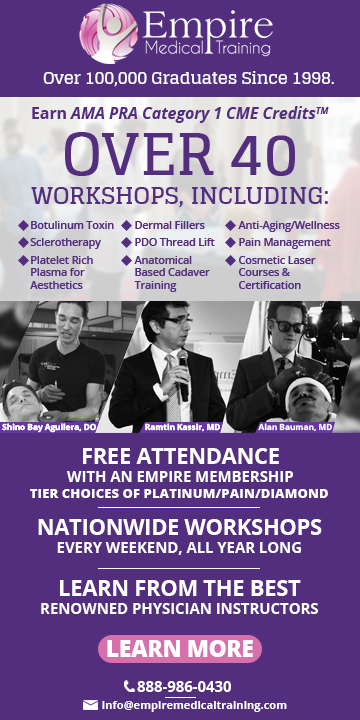 This Conference has been approved for a maximum of 12 Prescribed credits. Target Audience: Family Physicians and all other Healthcare Professionals seeking clinical information about Pharmacology and Office Orthopedics issues. 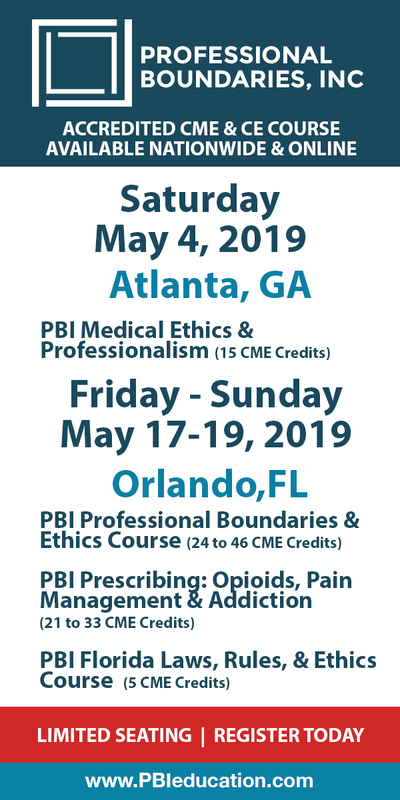 Course Description : This conference is designed to provide primary care clinicians with up-to-date, evidence-based information on commonly encountered issues in Pharmacology and Office Orthopedics, while suggesting pragmatic approaches to clinical management. The discussion-based format of the conference will encourage audience participation through dynamic interactive lectures and case-based studies. Our national speakers will present and critically assess recent advancements and industry updates in Pharmacology and Office Orthopedics for Primary Care, with the goal of enhancing the knowledge-base and core competence of attendees. The successful completion of this interactive program should improve attendees’ confidence in diagnosing, treating, and prescribing the most effective courses of treatment, with the ultimate goal of improving patient outcomes. Course Objectives: • Evaluation and Care of Common Knee Problems • Evaluation and Care of Common Shoulder Problems • Evidence Based Osteoarthritis Management • The Preparticipation Exam • Tendonopathy - Treating the Troublesome Tendon • MSK Injections • What a Headache! Clinical Review of Different Headaches with Corresponding Treatments • New Antimicrobial Update: Has Help Truly Arrived? • Making Sense of Hypertension Guidelines: How Low Should We Go? • Polypharmacy and the Elderly: Minimizing Untoward Effects through Prudent Prescribing • Palliative Care Medicine Update Additional details will be posted as soon as they are available. Florida Optometric Association (FOA) Annual Convention (Attendees) is organized by Florida Optometric Association (FOA) and will be held during Jul 18 - 21, 2018 at Disney's Yacht Club Resort, Lake Buena Vista, Florida, United States of America. Additional details will be posted as soon as they are available. Florida Optometric Association (FOA) Annual Convention (Exhibitors) is organized by Florida Optometric Association (FOA) and will be held during Jul 19 - 20, 2019 at Disney's Yacht Club Resort, Lake Buena Vista, Florida, United States of America. Additional details will be posted as soon as they are available. Headache Update 2019 is organized by Diamond Headache Clinic Research & Educational Foundation and will be held from Jul 25 - 28, 2019 at Disney's Grand Floridian Resort & Spa, Lake Buena Vista, Florida, United States of America. Additional details will be posted as soon as they are available. Fifth annual Hot Topics in Pediatrics is organized by Nemours/Alfred I. duPont Hospital for Children and will be held from Jul 25 - 27, 2019 at Disney's Yacht & Beach Club Resorts, Lake Buena Vista, Florida, United States of America. Designed for: Pediatricians, Family Practice Physicians, APNs, RNs, PAs Accreditation: Nemours is accredited by the Accreditation Council for Continuing Medical Education (ACCME) to provide continuing medical education for physicians. Nemours designates this live activity for a maximum of 14.0 AMA PRA Category 1 Credits™. Physicians should claim only the credit commensurate with the extent of their participation in the activity. Maintenance of Certification (MOC) Credit Successful completion of this CME activity, which includes participation in the activity, with individual assessments of the participant and feedback to the participant, enables the participant to earn 14 MOC points in the American Board of Pediatrics’ (ABP) Maintenance of Certification (MOC) program. It is the CME activity provider’s responsibility to submit participant completion information to ACCME for the purpose of granting ABP MOC credit. Conference Description: This conference will feature national leaders in the field of pediatrics discussing some of the hottest and most controversial topics for providers caring for children, with a focus on the primary care setting. Topics at the 2019 conference include screen time for kids and teens, techniques in cognitive behavioral therapy for anxiety to use in the busy office, CF and diabetes updates, office UTI management conundrums and practical office asthma management tips, hyperhidrosis, summer and infectious rashes, Epstein-Barr Virus (EBV) infection, hemangiomas, CF (new medications), autism, vaccinations, pediatric nephrolithiasis. The organizers are also featuring three hot controversies in a debate format: Should Parents GPS Track Their Teens? ; VCUGs for Febrile Infant UTIs? and Should We Treat Warts and Molluscum? There will be plenty of time for discussions with speakers and opportunities for case-based learning. Objectives: At the conclusion of this program, participants should be able to develop a differential diagnosis for, assess and manage clinical issues that occur in the primary care office, including: • Recognizing common and uncommon presentations of pediatric dermatologic diseases/conditions. • Discussing recent advances in infectious disease testing. • Developing a comprehensive management plan for the child presenting with asthma. • Rapidly and accurately determining which pediatric patients presenting with cardiac symptoms require referral to a specialist. • Evaluating, diagnosing and treating the whole spectrum of pediatric infectious mononucleosis, referring when necessary. • Helping parents develop strategies for teen social media monitoring and limits. • Developing and implementing cognitive behavioral therapy for anxious children. • Diagnosing and treating pediatric patients with possible kidney stones. • Utilizing the current urinary tract infection (UTI) guidelines to diagnose and treat UTIs in children and determine the best imaging choices in febrile infant UTIs. • Recognizing the wide array of choices for autism therapy, and directing families to appropriate treatments. • Providing better care for diabetic patients through implementation of new diabetes treatments, from pumps to continuous glucose monitoring. • Recognizing the high-risk behaviors of teenagers to better intervene to prevent injury in a timely manner. • Developing a differential diagnosis and treatment plans for pediatric dermatologic problems from hyperhidrosis to infectious rashes, to hemangiomas and vascular lesions. Geriatric Medicine for Primary Care: Cardio/Geri/Pain is organized by Medical Education Resources (MER) and will be held from Aug 02 - 04, 2019 at Disney's Grand Floridian Resort & Spa, Lake Buena Vista, Florida, United States of America. This CME Conference has been approved for a maximum of 12 Credit Hours. Additional details will be posted as soon as they are available. Men's & Women's Health for Primary Care: Gyn/Men's Uro/Psych is organized by Medical Education Resources (MER) and will be held from Sep 06 - 08, 2019 at Disney's Grand Floridian Resort & Spa, Lake Buena Vista, Florida, United States of America. This CME Conference has been approved for a maximum of 12 AMA PRA Category 1 Credits. Additional details will be posted as soon as they are available. 2019 uroLogic Conference is organized by Society of Urologic Nurses and Associates (SUNA) and will be held from Sep 20 - 23, 2019 at Disney's Coronado Springs Resort, Lake Buena Vista, Florida, United States of America. Additional details will be posted as soon as they are available.